Riding a bike can be a great way to get around town. A reduced carbon-footprint, a feeling of freedom being outside and on the road and, the picturesque scenery that can come with cruising – all present factors for why cycling can indeed be so enjoyable. In saying all of this – ensuring that your ride is in tip-top condition for you to get the most out of your ride is indeed important. No matter whether it’s a Ladies Cruiser Bike or a Men’s Cruiser Bike, or, a Commuter too – one such element that can be crucial to ensure that you’re able to get the most out of each riding experience, is the saddle. The saddle height in particular – determines the range and the amount of room that your legs will have to power you and your bike, to, wherever it is that you may be going. The height of your saddle can in fact be one of the simplest adjustments to make and – can bring the most amount of benefits to your riding. Read on to hear more about how you can get the most out of your ride, by paying close attention to all aspects relating to – your saddle. Whether it’s a Commuter that you’re on or a Men’s Cruiser Bike or, a Ladies Cruiser Bike, two benefits that can come from adjusting your saddle to the optimal height are, an increase in pedal efficiency and an increase in overall riding, comfort. These two things combined can help you to avoid potential long term, injuries. In finding the right height for you and your saddle, there are of course, a number of different approaches and methods that you can use to do so. 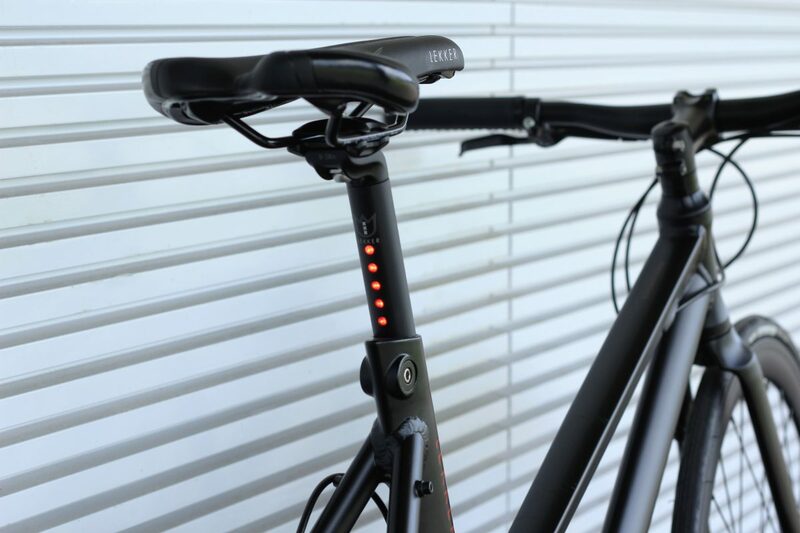 The saddle height can be measured, by, measuring the distance from the bottom bracket (or at the middle of the crank), to, the top of the bike saddle. Read on to hear more about the methods involved when it comes to finding the perfect height and, adjustment for your, riding position. A common way for cyclist to find their saddle height no matter what bike they may be on – a Ladies Cruiser Bike or, a Men’s Cruiser Bike, is what is called the, ‘Heel-to-pedal’ method. This can be a very helpful method for getting the saddle, into roughly the right area when it comes to the height that you are after. After doing so however, there may still be a few finer adjustments to be made to make things ideal. To perform this method, make sure to follow the steps outlined, below. The LeMond Method is a measuring method that was popularised by a cyclist in the 80’s Greg LeMond, along with his cycling coach. The method, involves using an object such as a spirit level or, meter ruler, and, placing it between your legs whilst applying a slight amount of pressure to your groin area – similar to that which you may feel from a saddle. Ensuring that your shoes are off, make sure to measure from the crotch to, the floor. This will provide you with the ‘inseam measurement’. Once you have this figure, then, multiply it by 0.883. The result of this calculation, will give you the ideal saddle height from the LeMond method. This saddle height measurement, will be from the centre of the crank or bottom bracket to, the top of the saddle. An additional factor to take into consideration regarding adjusting the height of your saddle, is the length of your crank – the part of the bike, in which the pedal is attached to. It is said that a longer crank length does not necessarily equate to an increased efficiency, regarding pedalling. This may be important because in hearing or understanding this – you can be sure that if you are changing your crank length – it will not make all that much of a difference regarding your potential power output – when pedalling. Instead, a change in crank length can be useful in such things as allowing your muscles to work slightly differently and in doing so, potentially open up areas such as, your hip. Along with crank length, other slightly less obvious factors that may come into play regarding saddle height, are, the style of pedal that your bike is equipped with and, the cleat system that you may be using. Or simply, you may not be using a cleat system at all. Regardless – these factors can be helpful to keep in mind when working to adjust the height of your saddle – whether it’s a Commuter, a Ladies Cruiser Bike, or, a Men’s Cruiser Bike. The most important things that come into play regarding saddle height, is that – a correctly fitted and adjusted saddle, can allow you to improve your pedalling efficiency and of course, improve your overall comfort on the bike. In improving your comfort, you’re then better able to avoid potential injuries that may come from an incorrect saddle height. A recommendation is – adjustments that you do make to your bike and your saddle – or, whichever aspect of your bike it may be – should be made, gradually. Doing so will enable you to over time, fine-tune your riding position so that in not too long, you’re able to have the most efficient and streamlined setup for maximum comfort, efficiency and in turn – enjoyment out on the bike. Whether it be a solo ride to work each morning through the CBD, or, a weekend cruise on a rural bike trail – a comfortable riding position and saddle position, can benefit you greatly in getting more out of your riding. Whether it be a Men’s Cruiser Bike, a Ladies Cruiser Bike or, a Commuter – at Lekker, we do have a range of bikes to suit a range of different riding types. At Lekker, we of course hope that you’re able to find this article useful and that if you’re in need of a new bike or simply just a new saddle or indeed, assistance with your own bike setup – we are, here to help. Feel free to pop into one of our brand stores located in Melbourne and, Sydney, to check out our range of bikes. And if it is a whole new bike that you’re after, we do offer a completely free test ride on any of our bikes within our stores. May you indeed get the most out of your next ride, wherever the journey may take you!